We offer professional installation services for everything from vehicle wraps to large scale fleet projects and environmental graphics. We have the experience, know how and resources to accomplish projects of any size under tight deadlines. 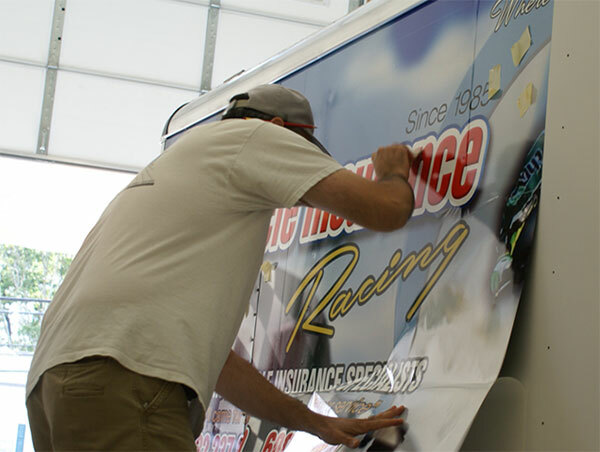 We provide removal service from simple decals to full wrap removal. We use the latest technology and the utmost care in removal procedures. We use only bio-degradable removers, keeping the process eco-friendly. FYI: We can assure you this process may sound simple, but it may in fact take as long as the new install process. This service is based on an hourly rate per project, call for a quote. Our fully insured pick-up and delivery service is available when time or distance is an issue. Your vehicles may be transported to and from our facility by our staff or by tow truck. Fees may apply for this service and can be quoted based on your specific needs and project details. 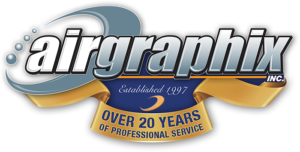 At Air Graphix we know it’s hard enough to run your business – chances are you just can’t find the time to maintain your wrap. We offer a complete detail service to maintain your vehicle wrap investment. Our detailing service can be scheduled at the same time as your yearly inspection (yearly inspection required for warranty). Proper detailing aids in wrap longevity as well as maintaining your vehicle for resale in the future. The popularity of the wrap has taking over the streets and highways but over time your wrap could show signs of wear and your prior wrap provider may have not gone over the post care requirements- call to schedule a consult today. Ed showing off his wrapping skills at this year's NAFA show in Atlantic City- nice work as usual Ed!